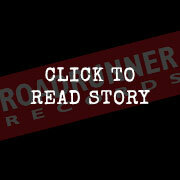 Roadrunner Records UK // Motionless In White sign to Roadrunner Records! Motionless In White sign to Roadrunner Records! Founded in 2005, Motionless In White have won over audiences worldwide with their aggressive music and arresting imagery. The band – currently comprising lead singer Chris Motionless, guitarists Ryan Sitkowski and Ricky Horror, keyboardist Josh Balz, bassist Devin “Ghost” Sola, and drummer Vinny Mauro – have proven a ferocious and inventive live act, earning an increasingly fervent fan following via countless headline shows, festival sets, and tours alongside such iconic acts as Slipknot, Lamb of God, and A Day To Remember among others.